Humm – not entirely sure why this didn’t appear yesterday, as it should have, as I did try to post it, but we had some odd internet issues so maybe that got it caught up for a bit. But here it is, I hope, on Monday! 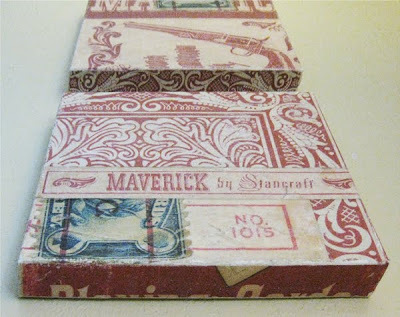 Mod Podge ROCKS! It does. I adore the stuff. And funnily enough so does someone named Amy, who has a blog by that name. I love this project she blogged, which can be found at the original posting site I didn’t sign up for this. She uses old cereal cans (but I’m guessing any sort of smooth edged can or tin or bucket would work as well. How handy in the kitchen, says the woman who nearly pulls her window shelf off at least once a week because the kitchen-package-opening scissors are attached to it to keep the rest of the family from running off with them. 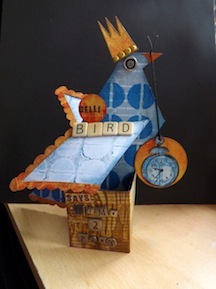 One of Amy’s own projects, this mixed media board, is more recent and fab – with a tutorial. Categories: Sunday someplace else, Uncategorized | Tags: vintage, wall art | Permalink.